2. Under the Administration block on the left-hand side of the screen, click Course Administration | Grades. 3. The Gradebook setup page will open up. 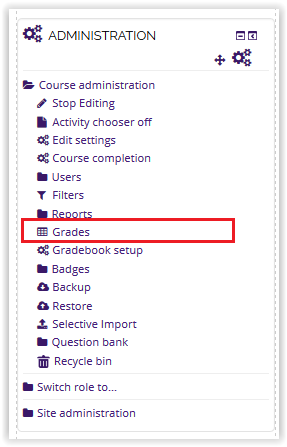 Click the drop-down menu at the top of the Gradebook, and select Course Grade Settings. 4. 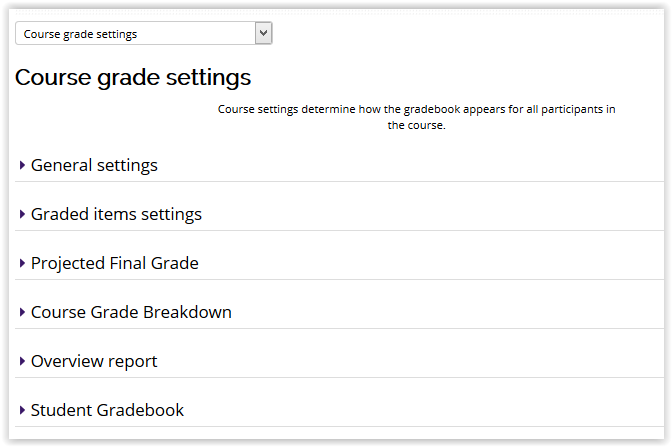 The Course Grade Settings page will open up. 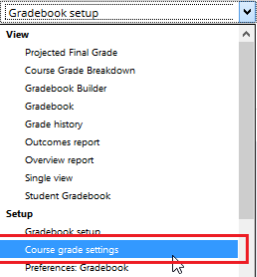 This page includes settings on Graded Items, Projected Final Grade, Course Grade Breakdown, Overview Report, and Student Gradebook.